The History of the Shimla is very exciting. It is located on the lower Himalayas. 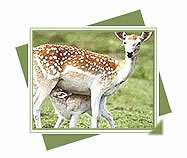 Shimla is at an elevation of about 7500 feet above sea level. Shimla is bounded by Mandi and Kullu in the north, Kinnaur in the east, the state of Uttaranchal in the south, Sirmaur, district in the west. The topology of the district is rocky and hard. The word 'Shimla' is derived from ''Shayamla Devi", which is the other name of Goddess Kali. The British Empire may have ceased to exist, but its echoes linger on in Shimla (2130m). As the 'summer capital' of the British in India. Shimla was once part of the Nepalese kingdom and called Shyamala. In 1864 Shimla became the summer capital of India. Following independence, Shimla was initially the capital of the Punjab, and then became the capital of Himachal Pradesh in 1966. Today, Shimla is a pleasant, sprawling town, set among cool pine-clad hills with plenty of crumbling colonial charm. 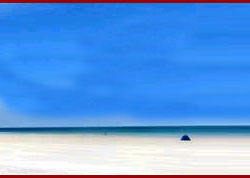 High season is mid-April to mid-July, mid-September to late October and mid-December to mid-January. The best time to visit is mid-September to late November. History of Shimla goes back to the period of Anglo-Gurkha war in the start of 19th century. In 1804 the Gurkhas, who had undergo a harsh beat at the hands of the Sikhs at the battle of Kangra, a hill stronghold about sixty miles from Shimla, where according to some accounts they gone thousand of men in the fight and many others from disease, commenced to damage the states and hills surrounding Shimla. 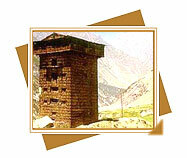 Gurkhas built many forts around Shimla. Shimla holds interest exclusively for visitors from England who trip Shimla to visit the churches and cemeteries for information about their grandparents who served here during the British rule in India. 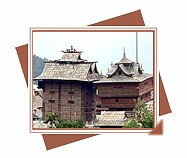 We provide history of Shimla with complete information about its appearance. A marvelous example of hill architecture, the temple complex at Sarahanis set against the incredibly beautiful backdrop of high ranges and forested slopes. Built in a mixture of the Hindu and Budhists styles, it was the temple of Bushair rulers of Rampur (Shimla). It is a Holy pilgrimage center of the Hindus who keep coming to pay their respect to almost 1200 years old Mahadev temple. 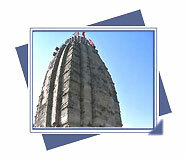 This temple is among oldest Shiva temples in the country, believed to have been built by the Pandavas.